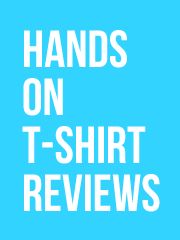 The Pope IS Dope- and so are these Tees! 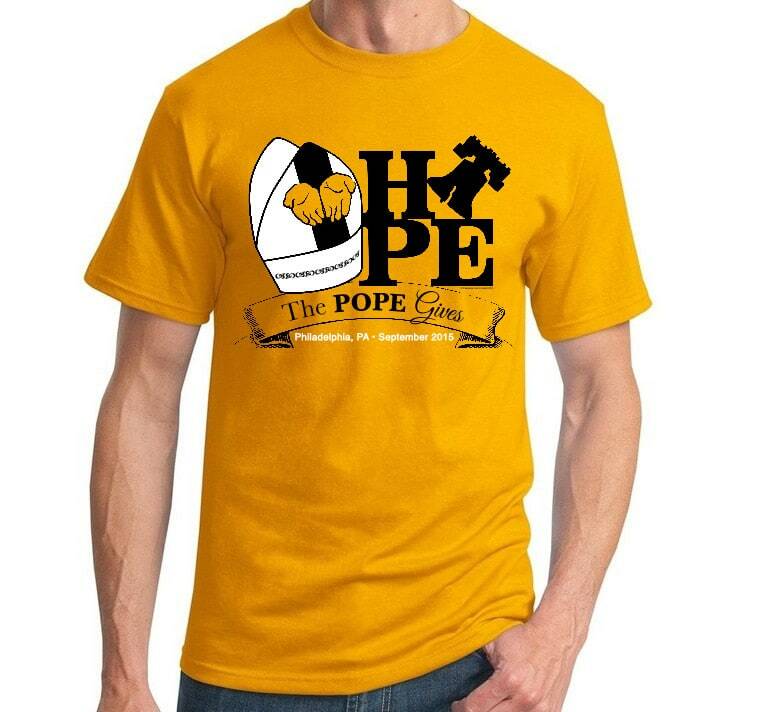 Designed to celebrate Pope Francis’ historic visit to Philadelphia in September, 2015, our series of three commemorative Pope Francis PHAG tag tees are all being produced as Limited Editions. 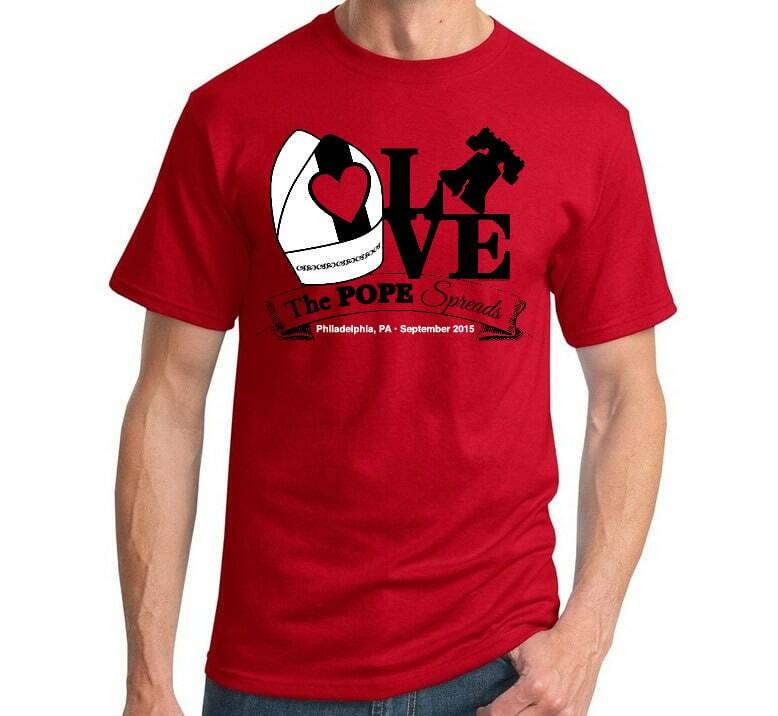 Pope Francis makes his historic visit to the City of Brotherly Love as part of the World Meeting of Families which has taken place every three years since 1994; 2015 is the first year it is being held in the United States- so this tee is also a unique piece of history celebrating The People’s Pope! 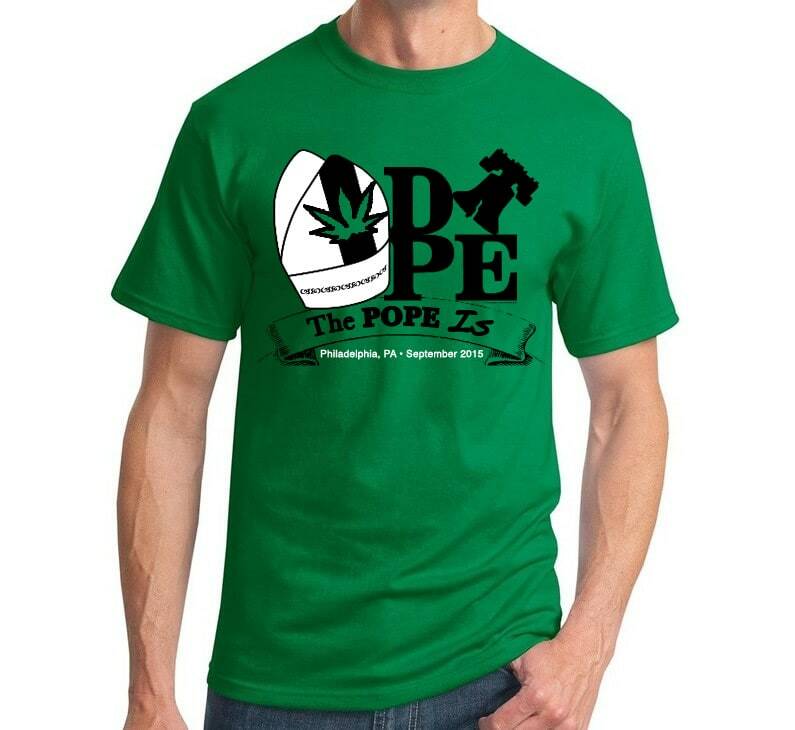 Our POPE is DOPE t-shirt captures the essence of The Holy Father in a modern, humorous, and admittedly cheeky way. When combined with the iconic art style of Robert Indiana, creator of the iconic LOVE sculpture first placed in Philly in 1976 as part of the historic Bicentennial celebration in the US, the result… well, let’s just say we’re high on life! Though more traditional, our POPE spreads LOVE and POPE gives HOPE designs are equally pleasing to the eye. Made of 50% cotton/50% polyester jersey, these pre-shrunk tees feature a seamless body, set-in sleeves, and ribbed crew neck collar. A PHAG exclusive! Designed and printed in the USA. Available in S, M, L, and XL. Andy: They aren’t my style, they’re local, and they’re celebrating a one-day event so they date themselves immediately. 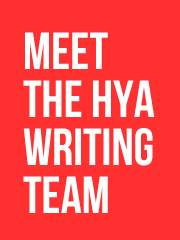 Essentially, they’re pointless as a HYA post, but my love for Philly remains six years after my extended visit, so I thought I’d post this submission anyway.